--> Show unread posts since last visit. --> Show new replies to your posts. Wheels Jamaica | General Information and Modifications | Rims - Tyres - Suspension - Brakes (Moderators: shift_of_legend (GARD), §upra) | Topic: Wheel / RIM Repairs........? Re: Wheel / RIM Repairs........? The best way to spray wheels is to take the tires off. I’d imagine any competent paint shop could do the job. However, Universal Weld or BD Gregg are two good one-stop shops for such. 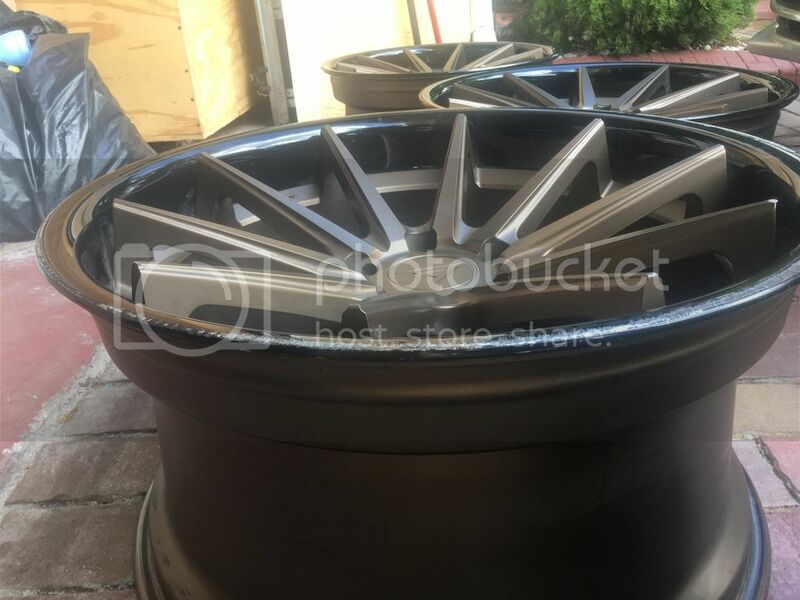 THANKS VTECAMZ & SUPRA.............................I have a set of 20s ferrada FR4 that cost US$2000 when they were new without the cost to import and they have curb rash on them so I need it dealt with like new so as to maintain the little value left in them, only the lips needs work tho. I have often times heard about Universal Weld so i will try them but after reading the responses I cant imagine why i never thought of spray box. they seem to do good work. Universal Weld seems to be the go-to place. Need to straighten and paint a set of 15"s ...but where is this place and can anyone give contact info? - also, capcha giving me headache. Page created in 0.053 seconds with 31 queries.